The Darwina Drive Trail will take you into the heart of the woodlands. 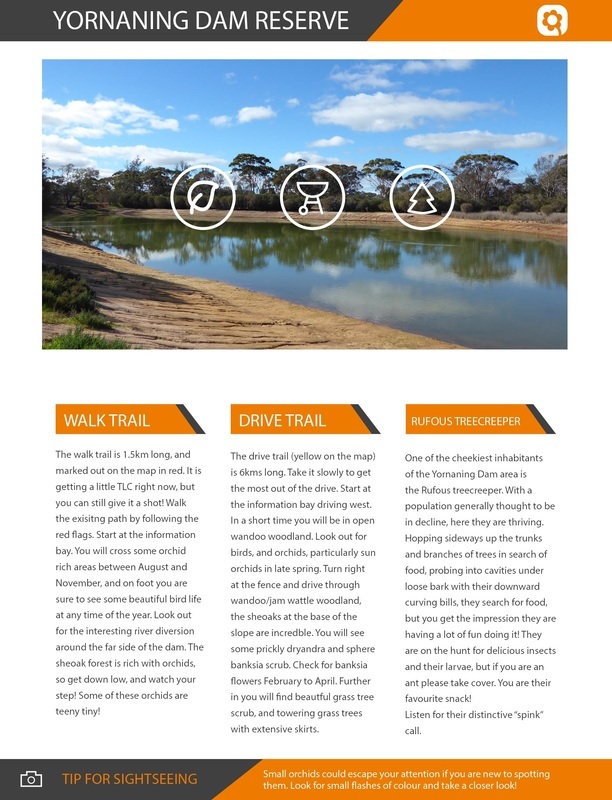 The 23km drive is broken up into five designated pull-over bays where interpretive information is provided on the complexity and interdependence of natural systems at Dryandra. Take along a picnic lunch or go on a short walk to search for orchids near the granite outcrop at the final stopping point. 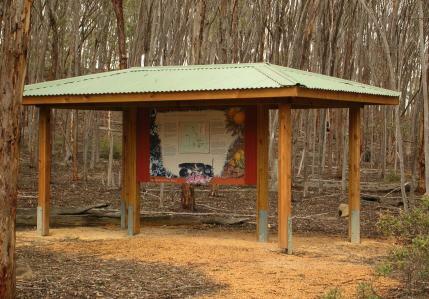 ​Start from the information shelter at the Old Mill Dam picnic area and then turn onto Gura Road. Look for the Banksia symbol along the drive. Barna Mia Nocturnal Animal Sanctuary is one of the jewels in Dryandra’s crown. 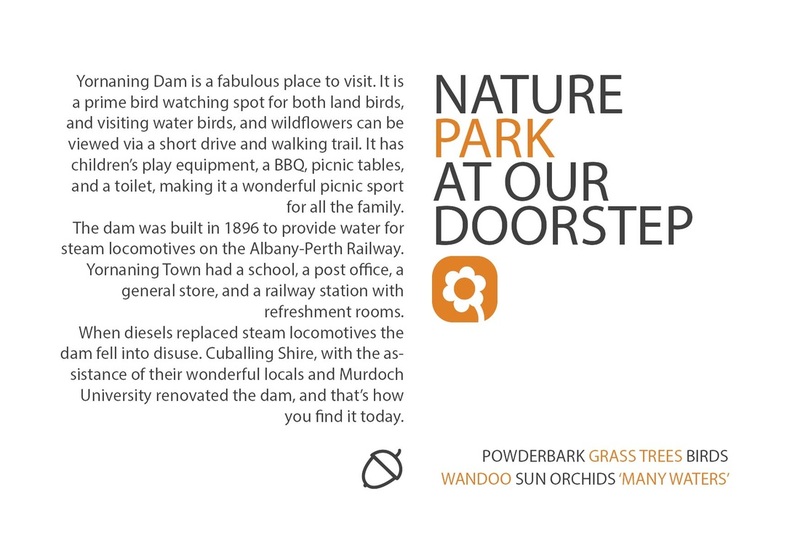 Consistently given highest ranking on TripAdvisor by visitors, this unique sanctuary is nestled within the Dryandra Woodland, in Cuballing Shire. Barna Mia is a breeding sanctuary for endangered marsupials. 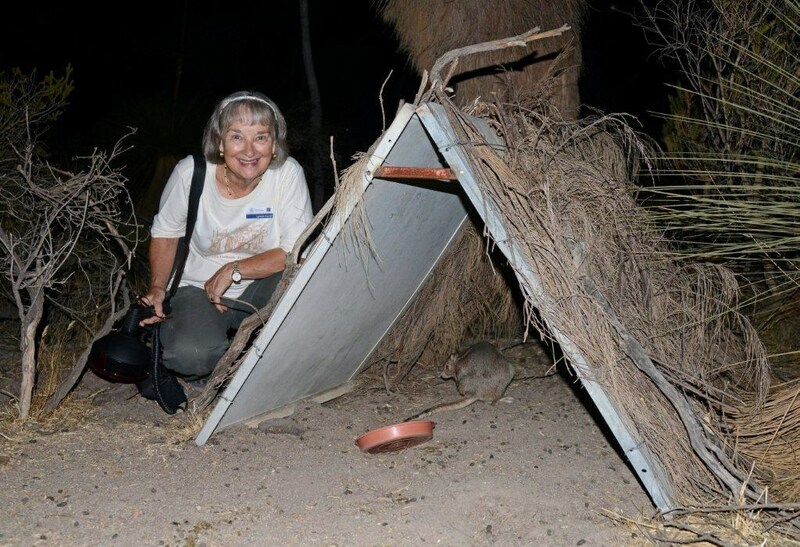 Tourists and locals alike flock at sunset to take a guided nocturnal tour with the chance to view rare and endangered bilbies, boodies, quendas, malas, bandicoots, and woylies. Bookings are essential as the tours fill up quickly. Contact the Department of Parks and Wildlife: 9881 9200. Tours run Mon, Wed, Fri, Sat in autumn, winter and spring. Fri and Sat in summer. 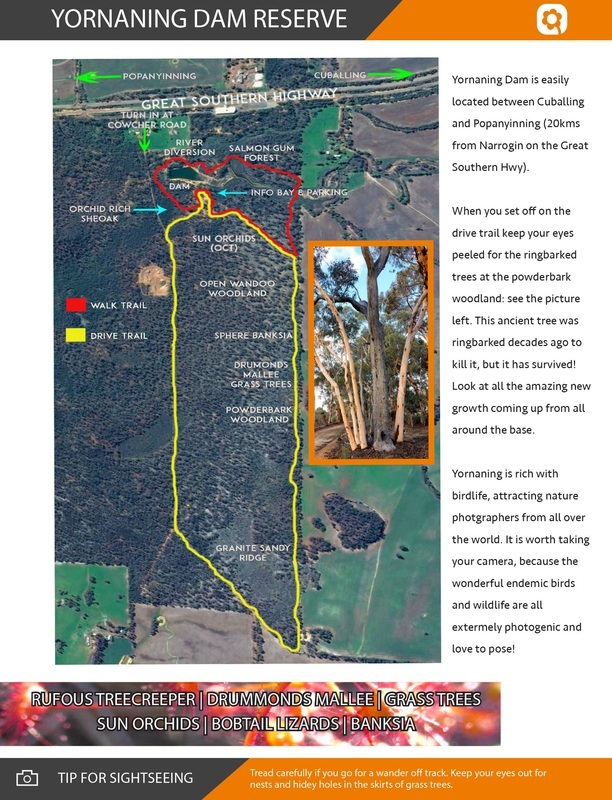 Campers are welcome at the Congelin campsite, or alternatively you can stay overnight in the Lions Dryandra Woodland Village (9884 5231), or at the Cuballing Tavern. 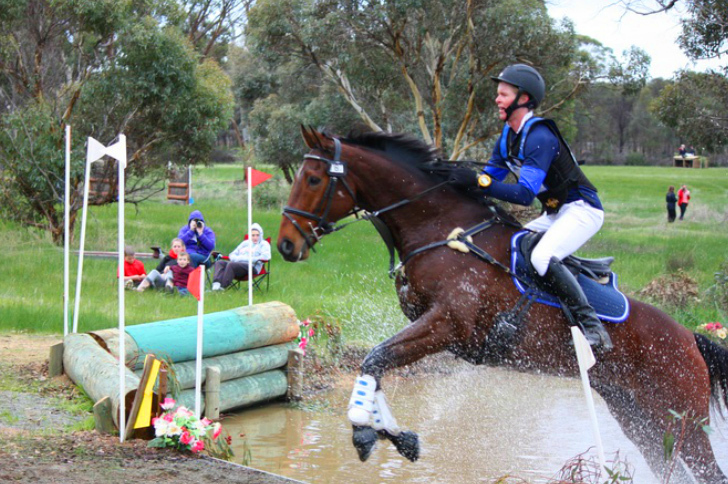 Cuballing is the home of the Dryandra Regional Equestrian Association, which attracts thousands of competitive horse riders to show jumping, dressage, events, and clinics at the world class facility every year. Keep your eyes peeled for the jumping horse mascots on the Great Southern Highway, leaping out of town. Many of people stop to take photos with the beautiful pieces, created entirely out of horseshoes. The Railway Cottage was built in 1905 and is the last component of the old Railway Station precinct. The Cuballing Tavern was built in 1892 and has been restored to its original design. The Cuballing Post Office was built in the early 1900’s, the Agricultural Hall 1912, St Peters Church in 1911 and the Western Australia Bank at the turn of the last century. All of these buildings can be seen in a pleasant walk around the town. 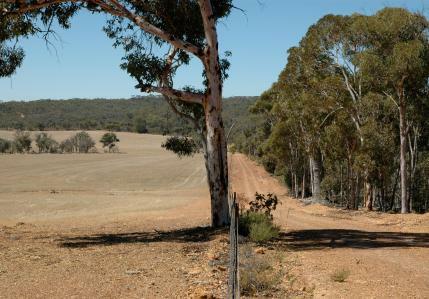 Contine Hill is a great little spot in the propsed Dryandra National Park. Visit for a picnic and a walk, in all but the hottest part of the year. The site is a laterite mesa that gives a commanding view of the countryside. You’ll find picnic tables, and BBQ plates (May to September use), an information bay, and two easy hikes. Please do not take pets as baits are laid in the reserve to protect the native wildlife from feral animals. Cars with caravans can reach the spot but camping is not permitted. Fantastic camping and caravan sites are available at nearby Gnaala Mia and Congelin. 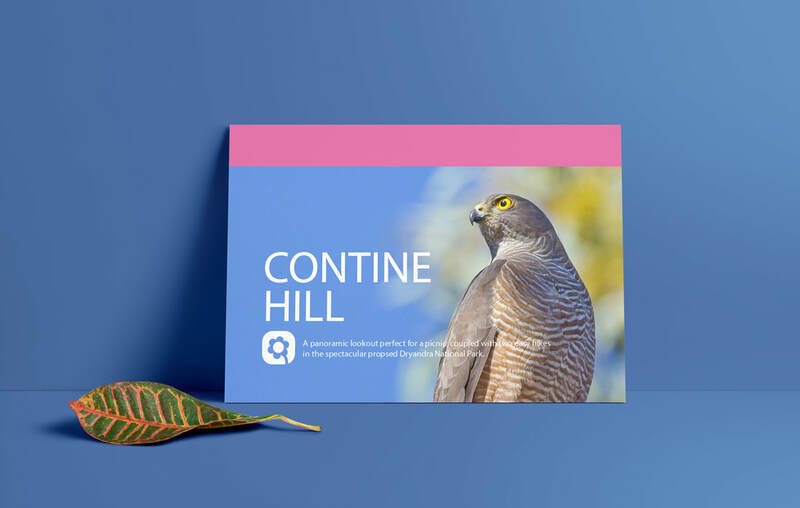 Pick up a guide to Contine Hill at Dryandra Country Visitor Centre seven days a week. 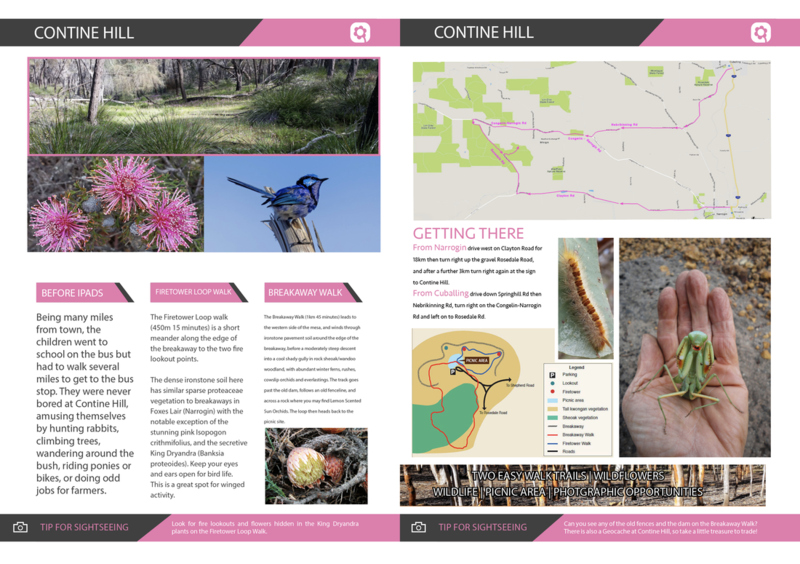 It includes local information, maps of the hikes and tidbits about local wildlife. (See a sample below). 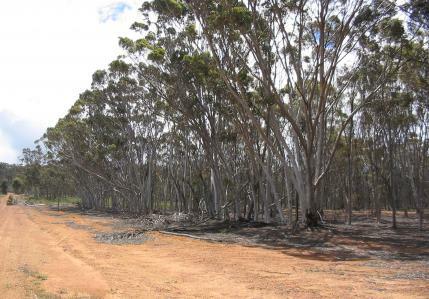 From 1902 brown mallet (Eucalyptus astringens) bark was exported from WA to leather tanneries all around the world. 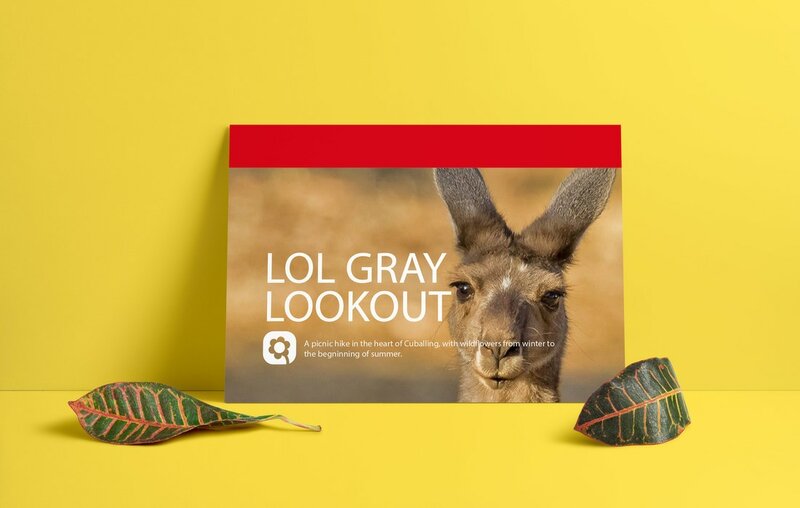 Lol Gray is one of five fire lookouts that were created to protect the fire sensitive plantations. Located on the highest hills overlooking the mallet plantations each lookout had a fire tower. The lookouts had a single house and few facilities for a forest Department overseer and his family. Built in 1930 Lol Gray was possibly the first tree fire tower in Western Australia. The tower is a lopped tree with a direction finder on top, a platform, and a ladder. This was a lonely life for wives who performed the tower work when the husband was away. They climbed the tower daily, even when in late pregnancy, and with small children. One pregnant wife had to give up the job after being wedged in the trapdoor until rescued from below! 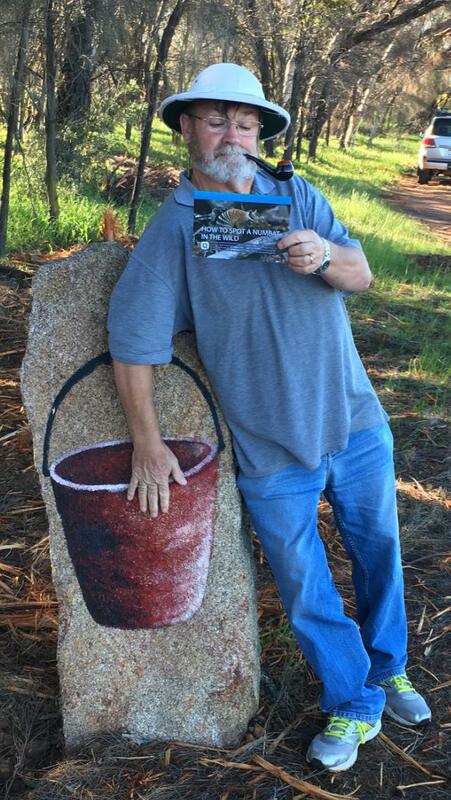 Collect your guide at the DCVC in Narrogin. 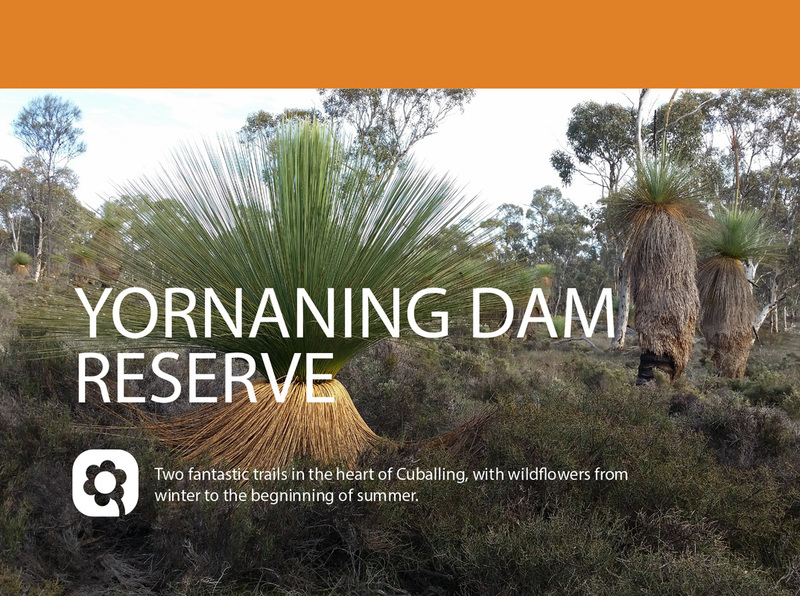 Head to Dryandra National Park. 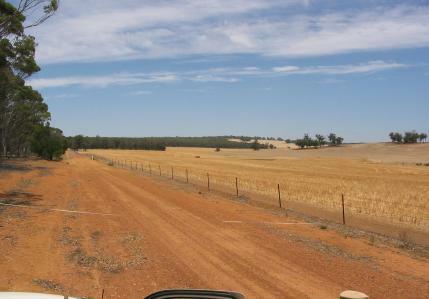 Enter via Kawana Road (which joins the Wandering-Narrogin Road just north of the Dryandra Road turnoff). Drive carefully as the entry is narrow and it is used frequently by hikers. Photo courtesy of Paul Sellers.